At Superior Septic Services, LLC, we know that you want to keep your Bothell, Washington septic system running well and without placing those who are at your property at risk. By turning to us for your inspection, you benefit from our 24 years of industry experience. 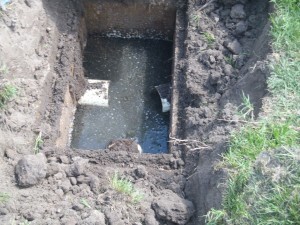 We routinely perform three basic types of septic inspections for our clients. Each meets a different need for our clients, but all can be performed efficiently by one of our trained technicians. Our technicians are operation and maintenance providers, which means they have more education and experience than licensed technicians. They are also qualified to perform all three types of Septic Inspections. According to Washington state law, you must have your Septic System Inspected regularly to meet the County Health Department parameters. If you have a gravity system, then an Operation and Maintenance Professional needs inspect it every years. All other systems require annual maintenance. Before you buy or sell a home, you will want to have the septic system inspected. 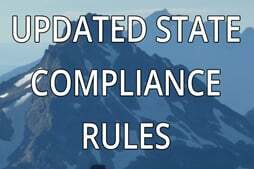 These septic inspections show that the system has been properly maintained, and title and escrow companies often require this action before they will transfer the title on the property. These can be performed by licensed septic tank pumpers, but some counties are putting additional inspection points on these, and thus are requiring operation and maintenance providers for this inspection as well for the regular county required inspections. The routine maintenance inspection looks at your system to get a snapshot of how well it is performing. This is easily performed by a licensed septic pumper. Some even include this in their pumping service. Our inspection professionals can handle this along with the other two more detailed types of inspections. No matter which of these septic inspections you need to have performed in Bothell, Superior Septic services, LLC, is ready to do the job well, providing you with the information you need to make informed decisions about your system. Contact us today to learn about our low price guarantee as well as current specials on septic inspections. With our help, you can have the peace of mind that comes with knowing your system is functioning exactly as it should.